By now, we’re all used to various sources of energy, whether that’s fossil fuels, hydroelectric energy, or nuclear energy. One such form is solar energy. You might have had some experience with it before: a good chunk of us have used solar-powered calculators for instance, which harnesses the power of the sun via large photovoltaic cells. And on the subject of cells, you might even have attached some solar cells to your home at some point. Nevertheless, the use of solar as a major form of energy has yet to become widespread, even though the industry is currently experiencing significant growth and expansion. The expenses are still there, and the functionalities have yet to be fully tapped out. One thing is clear, however: solar energy will be an excellent source of energy in the future, both for its energy content and because it’s more eco-friendly than other sources such as fossil fuels. So, with the spirit of that in mind, let’s consider some interesting facts about solar energy. Solar energy, a renewable source of energy that comes directly from sunlight, can be used to provide heat and electricity. Thus, you can use it to heat up water and power devices. Although direct sunlight creates the most energy for photovoltaic cells, they also function with indirect sources of sunlight. Devices that collect solar energy can be either passive or active. Active ones include solar panels and solar thermal collectors; they harness the energy directly. In contrast, passive technology includes not devices, but rather constructing rooms and buildings in such a way that air circulation is improved, and also so that more emphasis is placed on natural light, thus reducing the need for artificial light from electrical sources. Solar energy is also used by plants, who employ it during photosynthesis to create nutrients with which they feed themselves. 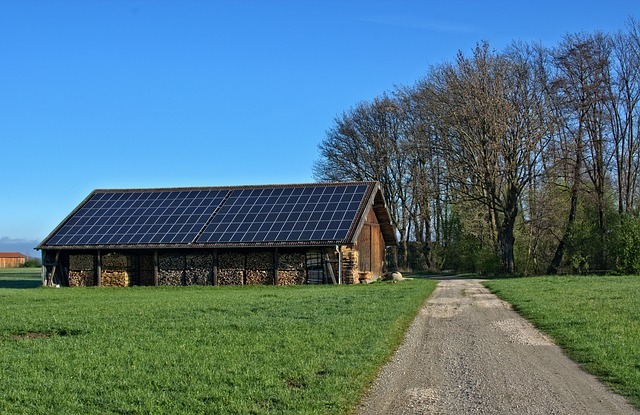 Solar power can be used to run a variety of devices, including hot water heaters, air conditioners, and outdoor lighting, as well as everything that can currently run thanks to electricity, natural gas, or oil. One type of a solar-energy device is a solar chimney, which is an example of a passive ventilation system. These function by being connected to both the inside and outside of a building. Incorporating thermal mass materials can help them work more efficiently. The companies producing most solar panels offer a warranty that lasts 25 years. During this time, they’re also often going to maintain your panels for free, if you’re renting or leasing your living space. Not only can you heat water and harness the power of electricity, but solar energy will also allow you to cook, pasteurize, and even dry food before you eat it. Thermal storage systems function by storing energy, in the form of heat, via materials that have a high specific heat threshold. Examples of such materials include earth, water, and stones. You can even store solar energy into molten salts. In the US, solar panels face the south. The reason for this is so that they can capture as much sunlight as possible. The field of study of solar energy—as well as that of wind energy—began gaining traction in the 1970s, thanks to the oil crisis that happened towards the beginning of that decade. With the threat of a significant oil shortage looming over their heads, scientists began researching the possibility of harnessing the power of the sun to fuel machines and devices. Although solar panels are quite affordable today, in 1977 (the year the first Star Wars movie came out), they would have cost 77$ per watt of usage. Solar energy devices, including solar panels and photovoltaic cells, have little if any, negative effects on the environment. Thus, they’re a much greener counterpart when compared to other forms of energy. Photovoltaic cells are usually made from silicon. They function because, when photons and electrons collide, the electrons are released, then captured and converted into electricity ready for human use. Out of the renewable sources of energy that exist (such as hydropower and wind energy), solar power is one of the ones that’s the most widely used. It’s not necessary to buy solar panels; you can simply rent them or finance them on a regular basis. This option is convenient for people of lower income who want to improve their environmental footprint. In many states in the US, solar panels are exempt from property taxes, and they even increase the value of your home—sometimes even more than would, say, remodeling your kitchen. But unlike a renovation of your kitchen, you can have your panels taken off when you move, and bring them to your next living space. So by now, you know a little bit more about solar energy. Solar power is clean, efficient, and, above all, environmentally friendly. It will no doubt become much more important in the future, so you can consider using solar panels or photovoltaic cells right now.